The Urban Contemporary collection is a series of steel bar and dining pieces emphasizing geometric forms, monochromatic powder coats and solid-pattern fabrics. Square tubing dominates in the angular frames here, and the solid pattern finishes give a clean, subdued look. Pub tables are available in 40" bar or 36" counter heights; dining tables are approximately 30" height. 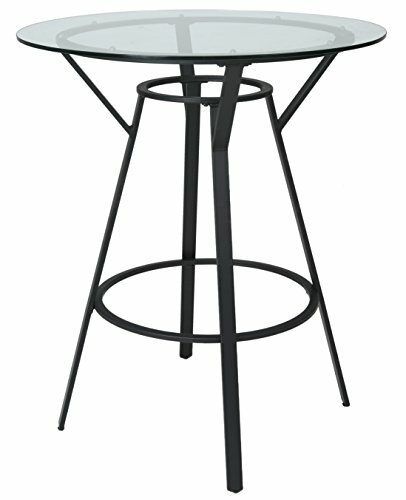 This La Lonja bar table is finished in a matte Satin Black and paired with a 36" diameter tempered glass top. Assembly required.